Recently we've seen several news stories highlighting the upswing in the real estate market nationwide. MarketWatch reported annual home-price growth in June “close to the fastest pace in seven years” with inventories of existing and new homes remaining low. Home prices, including distressed sales, rose 1.9% in June, and were up 11.88% from a year earlier, according to the article. In May, prices were up a similar amount from the prior year, the fastest annual growth since February 2006. Forecasters are predicting double-digit growth through July. Mortgage News Daily reported housing prices increased by "a remarkable 10 percent" in the first six months of 2013, the fastest pace for home price gains since 1977. This marks the 16th consecutive month that home prices have increased in relation to the same month the previous year. Amazingly, there were NO states where prices (excluding distressed sales) were down. Florida was one of the biggest gainers, showing a 12.7 percent increase. Locally, a July 29, 2013, Key West The Citizen article reported the Florida Keys housing market recorded strong results during the second quarter of this year, with the Upper Keys leading the way. Keyswide, the median price for a residential property jumped to $370,000 during the months of April through June, up 8 percent from the same period in 2012, according to Multiple Listing Service data compiled by Coldwell Banker Schmitt Real Estate. The total number of sales rose as well, from 506 to 624 homes. 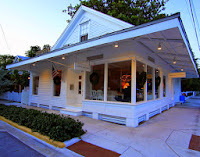 In Key West, closings increased 12 percent, from 170 in spring 2012 to 191 during the same period this year. Meanwhile, the median price in the Southernmost City jumped 17 percent, to $440,000, according to the article. And there are signs the housing market will continue its upward trend in the Keys. At the end of June, pending sales throughout the island chain were up 14 percent over last year. Meanwhile, the length of time a home is on the market has dropped from 15 months to 12 months. But the market still faces challenges from distressed properties, which comprised 17 percent of closings last quarter. Still, that's down from a peak of 45 percent in the summer of 2010. The bottom line: A housing market that continues to rebound, despite headwinds from rising interest rates, yet home prices remain reasonable in a historical context, with most states near peak affordability levels. 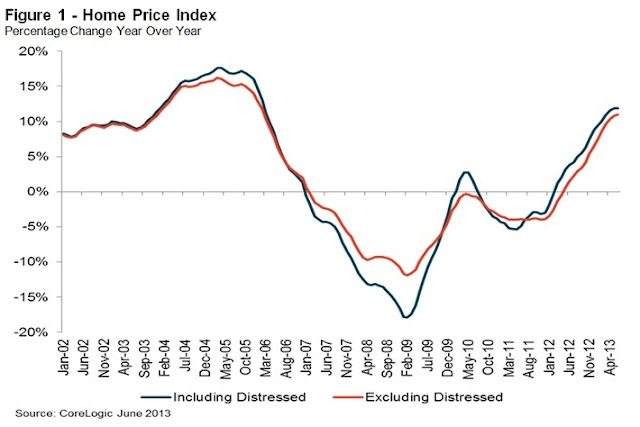 Including June’s increase, national home prices were about 19% below a 2006 peak. While there are concerns about a new housing bubble, data signal that prices aren’t too high yet. I hate to say it, but I really believe now is the time to buy. Key West real estate historically rebounds more quickly than many other markets and we are already seeing that happen. Don’t wait! Contact me at 305-304-1708 and I’ll help you find your dream home here in the Fabulous Florida Keys!